The UK football hooligan, Michael Shields, who was arrested in Bulgaria in 2005 for attempted murder, is to have the facts surrounding his conviction studied by a UK police force, the BBC reported late Friday. Shields, 22, is serving a 10-year term for the attempted murder of Bulgarian barman Martin Georgiev , but maintains his innocence. High Court judges ruled in December 2008 that Justice Secretary Jack Straw has the power to issue a pardon. A decision based on Merseyside Police's findings is unlikely to be delivered before May, Straw said on Friday. Shields was transferred to the UK from Bulgaria in 2006 after his 15-year sentence was reduced on appeal, and is serving his sentence at Thorn Cross Prison in Warrington near Liverpool. In a statement Straw made it clear there was still a lengthy process to go through before he could make a final decision. "I am determined to make the best and fairest decision that I can, but can only do so after properly assessing all of the material that is available, in accordance with the judgment of the court," said Straw. Police will speak to UK-based witnesses and study new evidence which came to light after Shields was jailed. 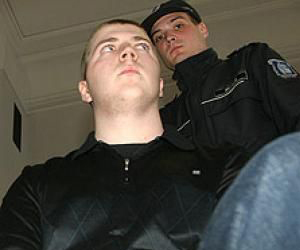 Barman Martin Georgiev was seriously injured after having a paving slab dropped on his head near the Black Sea city of Varna in May 2005.